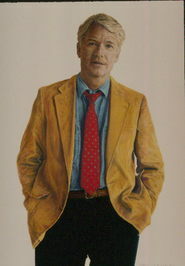 Florida author Jack Rosewood inherited his fascination for heinous crimes from his father, a journalist covering major grim crimes such as Ted Bundy. He is fascinated with serial killers – their development psychologically, their preparation for their life of crime, and the details of how they made their bloody black marks on the world. Jack moves away from his intensive studies of serial killers to explore current crimes most of which are discoveries for the reader – even the Jack Rosewood reader! 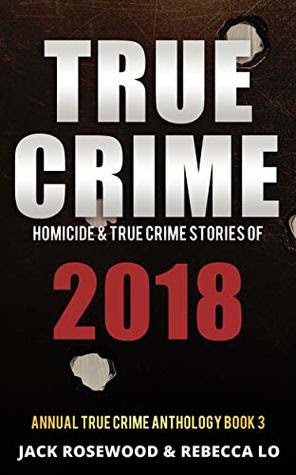 He is joined by co-author Rebecca Lo with whom he has published other collections - TRUE CRIME STORIES: TRUE CRIME ANTHOLOGY - and together they survey contemporary crimes – murders and killings that have occurred in this past year. After a terrifying introduction, Jack and Rebecca take us month by month through the heinous crimes – Marshall County High School Shooting, The Turpin Family, Larry Nassar and Harvey Weinstein, Coincheck Hacking, Bruce McArthur - Serial Killer, Atlanta Cyberattack, International Spy Poisonings, Scottsdale Spree Killings, Miles Family Murders, Murder of XXXTentacion, Pittsburgh Synagogue Massacre, Mail Bombing, Austin Serial Bomber, Russian Poisoning Saga, Waffle House shooting in Nashville, the Killing of Antwon Rose, Jr. - it seems no area of the globe was safe. The social media and racism and the elections have added to the milieu of terror. Easy reading? No, because of the subject matter but not the style of journalism. This is another important book from Jack Rosewood as assisted by Rebecca Lo. We must remain vigilant.